We all love the Tudors, that’s a fact, but how well do we really know them and their history? In this quiz you’ll be tested on a wide variety of people and events that occurred from 1485-1603. Thank you to Sari Graham for coming up with these great questions and answers. 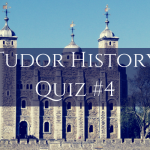 Congratulations for completing this Tudor History Quiz! If you feel like you need a bit of a refresher or more studying, feel free to check out my website at tudorsdynasty.com for a variety of topics. 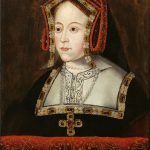 Katherine of Aragon was King Henry VIII’s first wife, but he was not her first husband. Who was her first husband? Katherine and Arthur were married in 14 November 1501, but sadly Arthur died on 2 April 1502 after both became ill. Katherine survived and married Henry VIII in 1509. 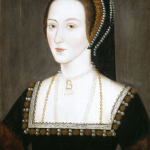 Even though they never met, what was the kinship between Anne Boleyn and Katherine Howard? Anne’s mother Elizabeth Boleyn (nee Howard,) was a younger sister to Katherine’s father Lord Edmund Howard. 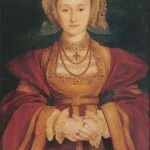 After the annulment of their marriage, Anne of Cleves received a generous settlement from Henry VIII, that included which two properties? Built by Henry VII in 1501 and named Richmond [As he was the Earl of Richmond,] it was previously known as Sheen Palace prior to his rule. Hever Castle was the childhood home of Anne Boleyn. Prior to becoming heir-apparent, what title did Henry VIII hold? Henry was created Duke of York at the age of 3, after being appointed Constable of Dover Castle, Lord Warden of the Cinque Ports, Earl Marshal of England and Lord Lieutenant of Ireland. 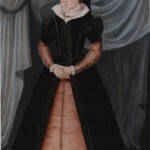 Queen Mary I had many suitors before she eventually married later in life. To whom was she first betrothed? Mary was 2 years old when she was betrothed to the newborn Dauphin in 1518. The betrothal was broken off in 1521 when the alliance between England and France disintegrated. 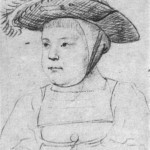 Mary and François never met, and he died in 1536. Princess Elizabeth was born at Greenwich Palace in 1533, but her official residence was set up where? Princess Elizabeth was given her own household at Hatfield, located in Hertfordshire, when she was about 3 months old. After the death of her mother and her legitimacy revoked, Lady Elizabeth lived quietly at Hatfield until she briefly lived with her stepmother Katherine Parr at Chelsea after the death of her father, King Henry VIII. 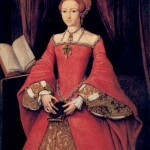 She was proclaimed Queen of England in 1558 under an oak tree on the estate at Hatfield. Fearing for the safety of his only son, King Henry VIII ordered what to be done in the household of Prince Edward? All walls, floors and apartments to be scrubbed with soap and water daily. No Catholics were permitted to attend the Prince. Refusal to allow Prince Edward to run, ride, and play boisterously in case he fell and hurt himself. 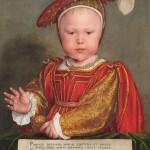 King Henry VIII is known for his paranoia, particularly where disease was concerned and he wanted to take every precaution that no contagion would come near his son, whom he described as “This whole realm’s most precious jewel.” Henry VIII’s illegitimate son, Henry FitzRoy died of tuberculosis in 1536.